When I'm looking for accessories for my living room, such as scatter cushions, I don't immediately think to look at a Sofa Website! It makes perfect sense to really doesn't it, and SofaSofa can offer over 50 different fabric designs in 100s of colours for you to choose the perfect scatter cushions to compliment any sofa. 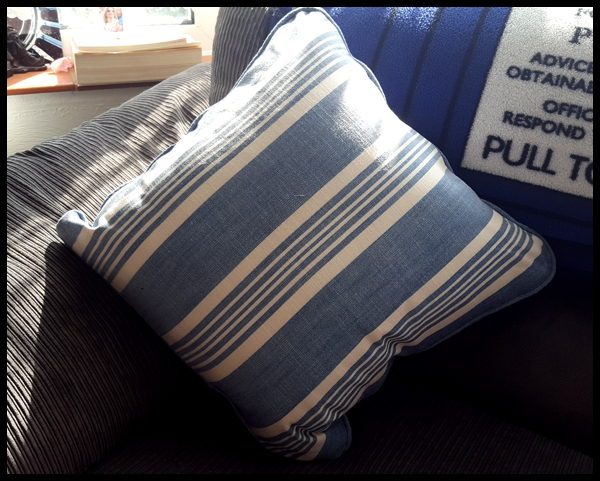 With my grey sofa and blue blanket accessory, I decided to choose the Newport Scatter Cushions (stripe) in blue rather than the grey, and I'm so pleased I did, I love them! Once the cushions arrived I knew I'd made the right design choice, there were many to choose from and SofaSofa makes it really easy to find the perfect pattern and fabric from their length, size and colour menus. I was not expecting to love these as much as I do, and I'm now looking at purchasing a further 2 cushions to place on my other sofa! 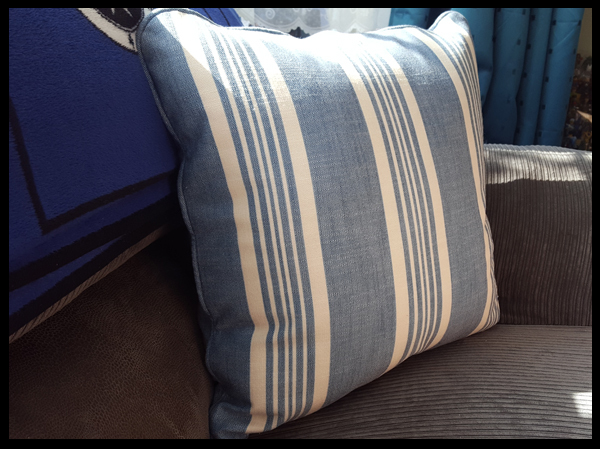 The cushions are just over 40cm in size and 15cm in depth, meaning these are good thick cushions, and extremely comfortable to rest against. The fabric is soft to the touch and a beautiful shade of blue. 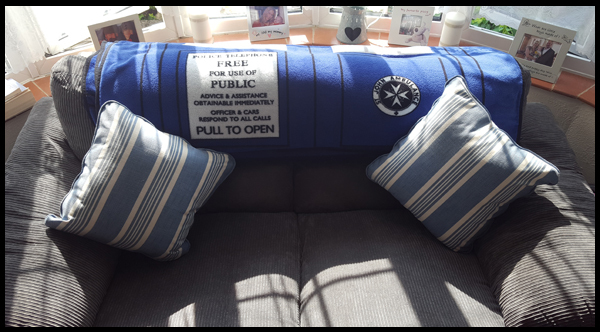 These cushions from SofaSofa website can be purchased for £20 and you are getting value for money in my opinion. I think they really set off my sofa lovely and like all accessories, it's the small things that make the biggest impact. I received scatter cushions from SofaSofa.co.uk review.